We’ve all heard that we need to walk more to stay healthy. The current recommendation is that we do 10,000 steps each day (yikes). Unless you had a pedometer you would have no idea how many steps you did in day. As a guide, 2000 steps is about 1 mile so 10,000 steps would mean walking 5 miles! (double yikes). 10,000 seems like a lot, especially if we go by the 30mins brisk walk a day rule (which would mean you would do approx. 3 miles). I think the aim is to work your way up to 10,000. Don’t feel so bad if you haven’t made the 10k step, as close to it is better than none at all! I was struggling to figure out how many I had done. I had used basic pedometers in the past, but they were pretty poor. Not accurate, fiddly, so pretty pointless. 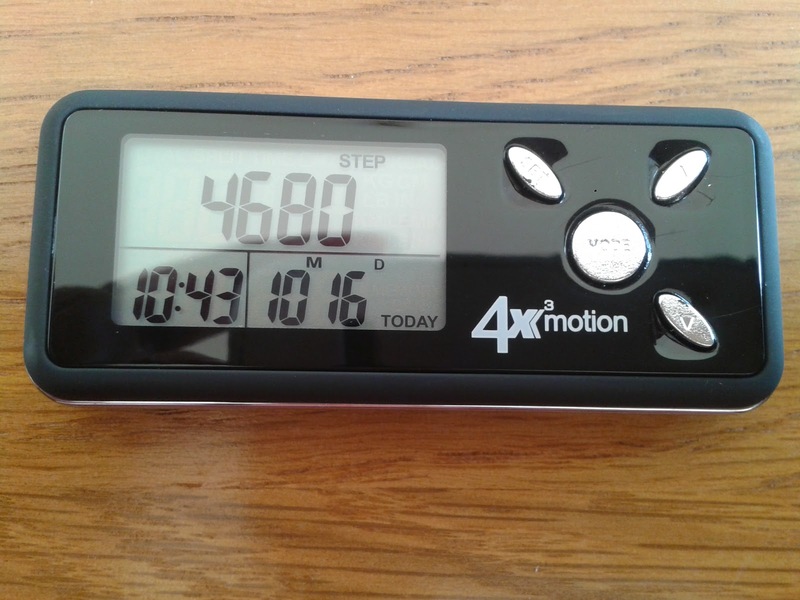 I was sent the Ozeri 4×3 motion Digitial Pocket 3D pedometer to review and I was quite excited. It looked really sleek, very grown up, and lightweight. The Ozeri pedometer is exactly as it uses a Tri-Axis technology, which basically means it proves superior data accuracy in any position the pedometer is in, whether up, down, flat, on its side or at any angle. It is more intuitive. 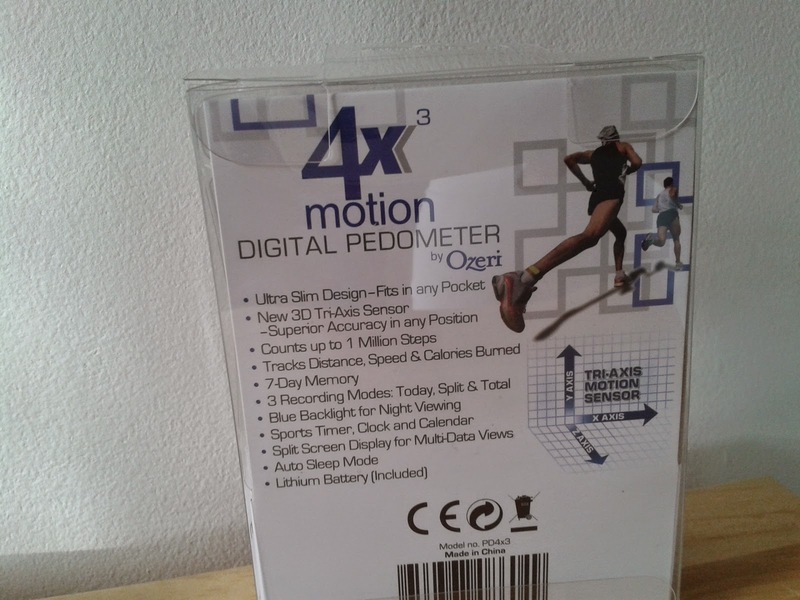 The 3D Acceleration Sensor is more accurate than the mechanical sensors used in traditional and other pedometers. That’s the techy bit done! The device is very sleek and very slimline. When I first used it I just put the pedometer in my pocket and checked on it every now and again to see my progress. It is very lightweight so I didn’t even feel it my pocket. I was initially using it to gauge how many steps I was doing on the school run. So, I would have a phone and pair of keys in my pocket too. The pedometer records your steps, distance, average speed, calories burned, and time spent exercising, and displays the data on a bright LCD. If you use it at night there is night view backlight which is handy. The pedometer filters out vibrations and only begins counting after it detects a sequence of continuous steps for greater accuracy. It also counts up to 1 million steps with 7-Day Memory, and includes a built-in Clock, Calendar & Sports Timer and Auto Sleep Mode technology. I did notice, when I was using it, that when I was taking it out of my pocket, mid-walk, I would invariably press a button which would change screens. Now, this isn’t a fault of the device, more to do with my nails and fingers! But, I attached the strap, which comes with the pedometer, and this stopped this problem. It’s like they have thought of everything! I did start counting in my head when I step off and took out the pedometer to check what it read and it was exactly the same, so I knew it was accurate. It’s good to know the calories burned and distance. It really is a great little device. I am going to get my mother to have a go too. She really needs to start walking more and this will really give her a challenge and a sense of achievement when she has reached her set goals.